Steven Anthony Bergstrom, known as Tony, is a professional football player. The Oakland Raiders picked him in the 2012 National Football League draft. Bergstrom was born on August 8, 1986, in Salt Lake City, Utah. He served as a missionary for The Church of Jesus Christ of Latter-day Saints, of which he is a member. He credits having served a mission and following a schedule as a source of part of his maturity as a player . He won many athletic and academic awards and nominations during high school. For three years he appeared on the High Honor Roll. He was an Academic All State, earning a College Board AP Scholar Award and a 2004 National Football Foundation and College Hall of Fame Scholar-Leader-Athlete nominee. He lettered three years in basketball and two in track and field. Bergstrom was a three-year starter and team captain on the powerhouse Skyline High School Eagles football team. In 2002 and 2003 the Eagles made the state finals and in 2004 they were regional champions and made the state semifinals. In 2004, he was All-State and Region 3 Player of the Year as was named as the Eagles’ Most Valuable Player. In 2005, Bergstrom signed to play football with the University of Utah and played in 2008 after his mission. 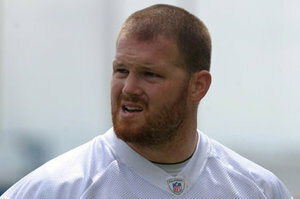 In 2009, he was the starting right tackle and led the offensive line in total plays, which he repeated in the 2010 season. In 2009, he was an Academic All-Mountain West Conference and in 2010, he was voted to the second team All-MWC. The University of Utah transferred conferences (from the MWC to the Pac-12 Conference). Although he suffered a knee injury, he was named to the first team All-Pac-12. In 2012 he was invited to play guard in the 2012 Senior Bowl. He had played tackle throughout his college career. Bergstrom pursued a degree in chemical engineering from the University of Utah and he and his wife, Jessica, are the parents of one daughter. This page was last edited on 19 June 2015, at 22:41.